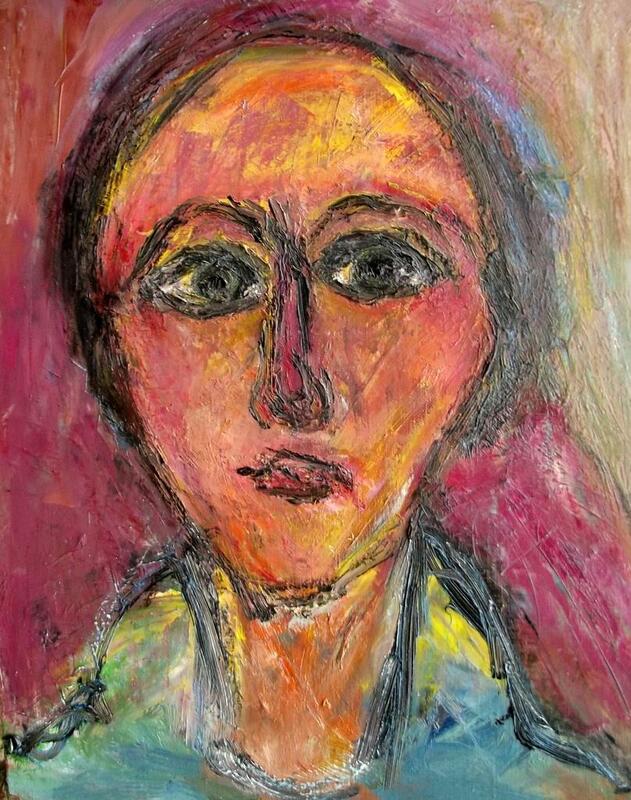 Writer, poet, art teacher, and artist, Garnavault was a reclusive French artist who’s paintings only came to light recently after her death. It came as a great surprise to find a large inventory inside a Montmartre studio dedicated to her two favourite 20th Century artists Marc Chagall (1887-1985) and Amedeo Modigliani (1884-1920). The most recent addition to the Community Collection comes from an anonymous donor, in memory of Mary Grace Tabor [1920-2012]. The Sac & Fox people inducted our old friend Seamus Tierney into their number, but I can’t recall his new name. If I were admitted to the tribe — probably with purification rites involving sweatlodges, smoldering herbs, and eagle feathers — and allowed to choose my name, it would be Sleeps-with-Books. My bed is peppered with them, at least two or three at a time; mysteries, histories, sudoku; rarely best-sellers. But always within easy reach for the insomniac and early-awakener that I am. In an HDTV home renovation episode last season, the single parent and her daughter dismissed each candidate house: “There just aren’t enough shelves. I’ve got nearly a hundred books, you know!” Really? I have twice that number stacked where the nightstand used to be; actually I got rid of extraneous furniture to accommodate more books. Truth be told, there isn’t a room in the house without them. We’re at the point of adding an official exclusive Library Wing or using the Holtzman Effect to fold space. It’s premature to invoke Borges’s “Library of Babel” but you get the point. In a recent New Republic article, William Giraldi makes a case for the physicality of books, so well that my thoughts are hardly worth note. Yesterday afternoon, for example, a book surfaced that I hadn’t read in forty years. Indeed, it’s from the core of my collection, the very heart of my hoard; one of the first twenty or thirty books I owned: Lewis Garrard’s rite-of-passage narrative Wah-to-Yah and the Taos Trail, the experience of a seventeen-year-old, published in 1850 when he was twenty-one. It came to me from Hamish Brookes, proprietor of Shelf Life, Agincourt’s own antiquarian bookstore until his death in 1959. I had met Mr Brookes when I was fourteen and became a frequent visitor to his second-floor shop above Vandervort’s Bakery; but the baked goods below held no fascination, compared to what there was above. Too young for the familiarity of “Hamish,” Mr Brookes was my mentor and guide to the empire of print on paper. From him I learned the rudiments of type fonts, em- and en-dashes, majuscules and ligatures; of letterpress printing on good paper; of signatures and spines. Libraries and archives across the Midwest sent their damaged volumes to him for repair. I observed some of those projects and was allowed to help with humbler pieces, but all were treated worthily. When he died in 1959, Wah-to-Yah was bequeathed to me with a handwritten note still folded between its pages. It remains there today. How much of this, I wonder, translates to the screen of a Kindle, a Nook, or their ilk? 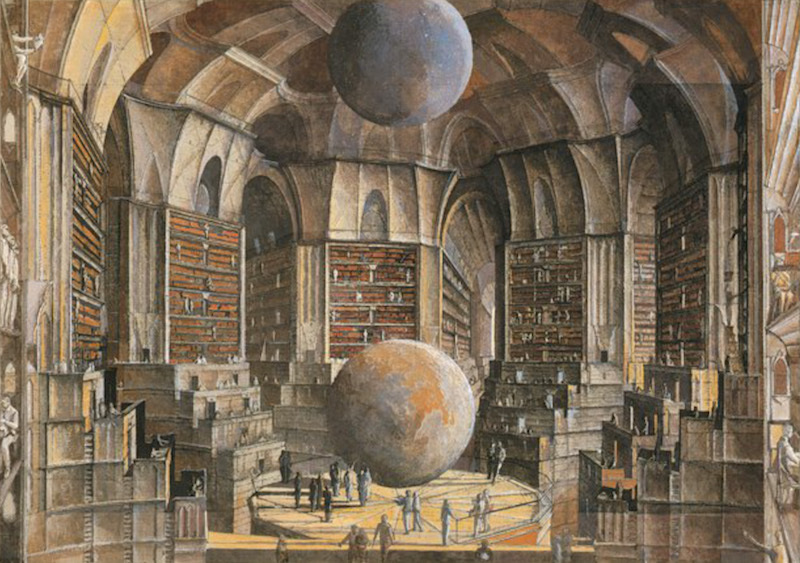 PS: Thanks to French printmaker Erik Desmazières for his conception of Borges’ Babel. As small-town newspapers like The Plantagenet withstand the digital assault, Mark Twain and paper share one important truth: Reports of their death have been exaggerated. I got a letter yesterday, as an example — actual personal communication written on sheets of paper — from a friend in Minneapolis, which set me to locate my own writing supplies and organize my response. I shall craft it with care and deliberation during the next few days. Yes, this all takes time — gathering tools, structuring ideas and setting them on the page — but think it, rather, one of the finer gifts of friendship. Where, indeed, would the New Testament be without Paul’s compulsion to correspond [“correspond = to be in agreement,” according to my dictionary]? One of the contradictions of letter-writing is its tactile intangibility. Electronic communication offers speed but ink on paper has greater presence and commands more attention; a different species of immediacy. For expressions of emotion, compassion, or consolation, we’re over-inclined to let Hallmark be our default. I prefer something personally composed, apropos the moment, handwritten: Letters of Protest or Resignation or Recommendation or Testimonial. Letters-to-the-Editor. Letters of Love or Farewell. In an envelope. With a stamp. [Do you miss stamps that required licking? I do.] The walk to the post office affords time for reflection; for reconsideration or amendment. And that last physical contact at the mail drop is a commitment like few others. My words are on their way. I have lobbed them across the metaphorical net. Today’s letter arrived just as I was thinking about a different sort of commitment: the longer-term communication called The Book, whose demise has also been promised but remains contentiously unfulfilled. 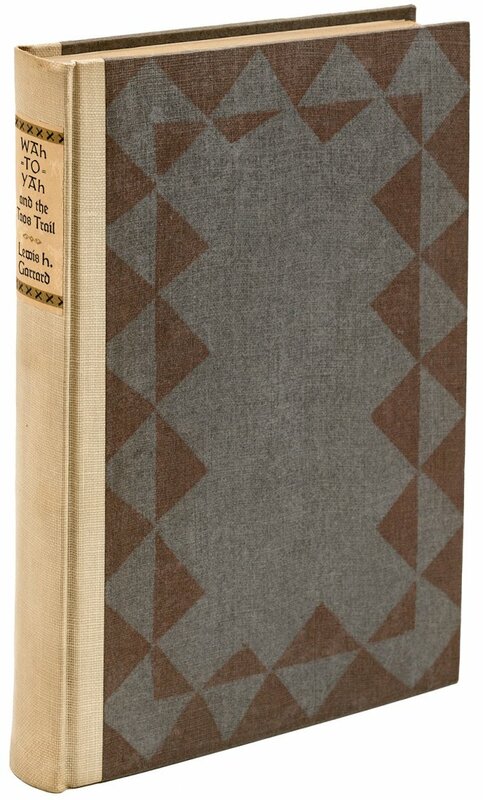 We have a few — books, that is — around our house and I want to tell my Minneapolis friend about one of them: WAH-TO-YAH and the Taos Trail, written by seventeen-year-old Lewis Garrard and published in 1850 when he was twenty-one; a narrative adventure in the early American West. Garrard’s words were made better (if that’s possible) because mine is the 1935 reprint by the Grabhorn Press, willed to me in 1959 by Hamish Brookes, Agincourt’s long-time purveyor of that other sort of paper, the gift that goes on giving, The Book. Brookes deserves a few more words but that will wait another day. In the meantime, you can read about him in Ghosts of Christmas Past #5.